Size 5,6,7,8,9,10,11 out of stock. The Muck Boot Scrub (previously known as the Muck Boot Ribble) is a waterproof high ankle boot that can be used in a variety of work and leisure applications. 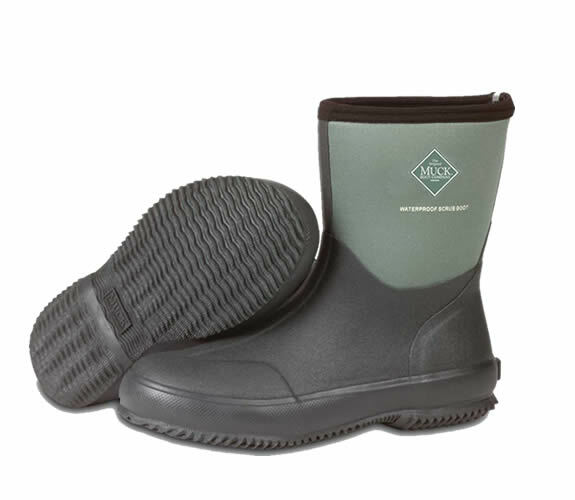 In addition to offering greater protection against the elements it is lightweight, durable, has full neoprean insulation plus an easy clean sole. Resistant to fertilisers, insectisides, manure and cleansers.